Public capital spending in Ireland is very low after taking account of depreciation. This note examines the trends in public investment and notes the flexibility to increase public investment under the EU fiscal rules. Capital spending in Ireland was reduced significantly in the years following the financial crisis in 2008. See table 1. Figure 1 shows that public capital investment in 2017 is lower by €4.9bn (-39%) than in 2008. The reduction in investment occurred following the financial crisis, when unemployment peaked at 15.2% and the debt-to-GDP ratio reached 120% in 2012. Since 2013 public investment has increased by 34%. According to the NCC (2016), capital investment should at least mirror levels in competitor countries that are at a similar stage of infrastructural development1. Current levels of investment are insufficient to close the infrastructure gap between Ireland and its key competitors for trade and investment. “Historically, estimated depreciation costs average some 2.1 per cent of GNP since 1995. Given that General Government investment is projected to average 2.1 percent of GNP over the medium term, the scope for upgrading and expanding the public capital stock within the current plan appears limited”2. Given that the Irish economy is among the fastest growing in the EU, the need for higher levels of investment is clear. The current public capital programme commits some €47 billion in capital investment. This includes an additional €5bn committed in the 2016 Summer Economic Statement to address, inter alia, “regional imbalances”. The priorities identified in 2016 are transport, broadband, education, health and flood defences. The Capital Plan is now being reviewed to ensure that capital spending is fully aligned with national economic and social priorities. The review is being done in two stages. The first phase will comprise a review of priorities aimed primarily at advising Government in the context of Budget 2018 on how the additional funding committed by Government for capital investment should be allocated over the remaining period of the plan. 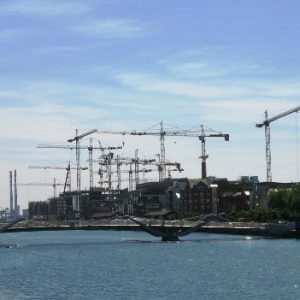 The second phase of the review will assess and report on the framework required to underpin longer term analysis of Ireland’s infrastructure planning needs. The Medium-Term (Budgetary) Objective (MTO) for Ireland is to achieve a balanced budget in structural terms by 2018. The MTO has been set at a deficit of 0.5% of GDP3. Changes to the capital plan will have to adhere to the fiscal rules and the expenditure benchmark4. However, the fiscal rules do provide flexibility for countries subject to the preventive arm of the Stability and Growth Pact, as Ireland is. Where GDP growth is forecast to remain “well below” its potential, a temporary deviation from the MTO or the adjustment path towards it is allowed for investments that have a “positive, direct and verifiable” long term budgetary effect. The deviation cannot exceed 0.5% of GDP and the investment must be on projects that are co-financed by the EU. A temporary deviation from the MTO or the adjustment path towards it is allowed for “major” structural reforms that will raise potential growth and have positive budgetary effects in the long term. The allowed deviation cannot exceed 0.5% of GDP and the application of the structural reform clause is restricted to one single time per period of adjustment towards the MTO. If a Member State is granted permission to avail of both the investment clause and the structural reform clause, the maximum allowed deviation of both clauses cannot exceed 0.75% of GDP. The current capital plan projects a level of investment significantly below the long-run average of 3.7 percent of GNP. This flexibility allowed under EU rules should be explored as an option, among others, to address investment gaps in Ireland. However, it is essential that any flexibility to increase investment be applied to projects which generate a return and enhance Ireland’s future growth potential. 2 IFAC Analytical Note No 9, June 2016. 3 The February 2017 EU Commission estimates of the structural budget balance in Ireland are -1.4% in 2017 and -1% in 2018. 4 PPPs, SPVs and European investment funds are also available as off-balance sheet measures.